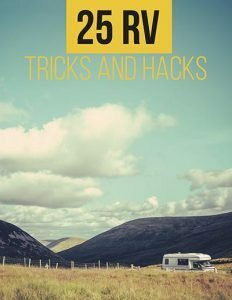 Watching multiple movies for less than the cost of the average ticket price from the comfort of your own vehicle — what more could you ask for? 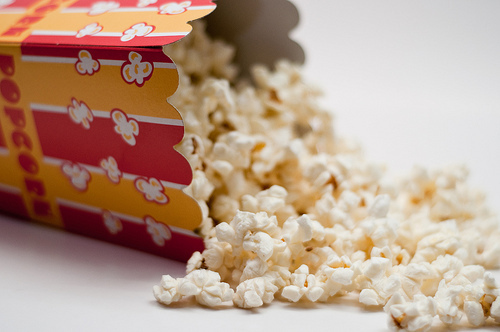 Oh, don’t forget the popcorn and soda, or perhaps a hamburger is more what you had in mind. 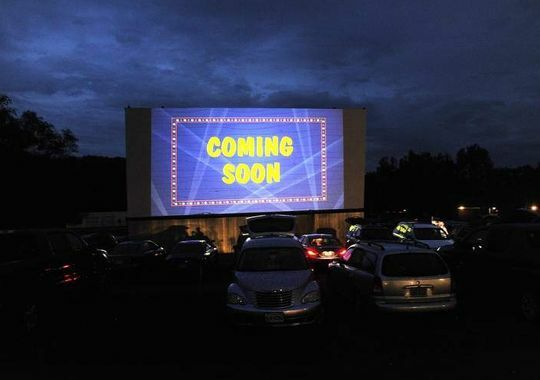 Fortunately, that is unlikely to be a problem when you visit one of the hundreds of drive-in theaters in the U.S.
First cropping up in New Jersey in 1933, drive-ins quickly became all the rage. Pairing cinema with automobiles, they grew in popularity and spread across the country. Although they don’t enjoy the following they once did, many still command crowds of loyal fans on a weekly basis. 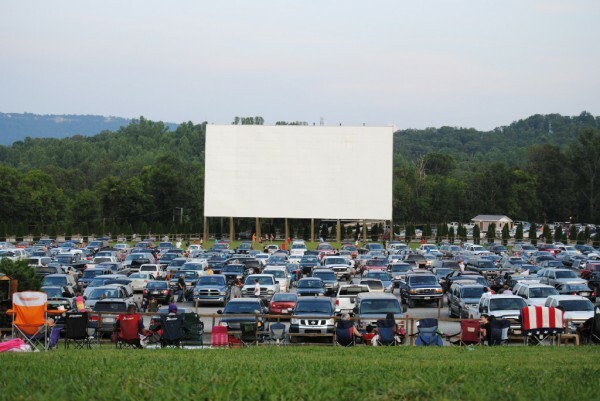 Here are ten drive-ins that are worth taking a road trip for. 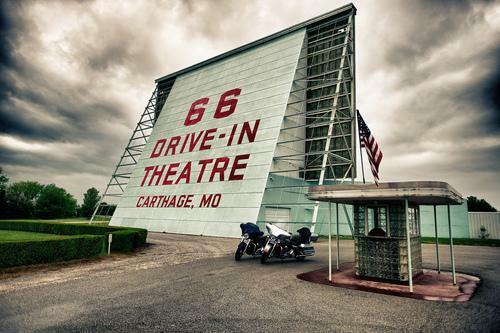 Truly a blast from the past, this drive-in theater was built in 1949 along the historical Route 66 Highway. In the 1950s, the screen was widened to differentiate from television broadcasts, which were becoming more prevalent in the area. A playground was added at that time as well. 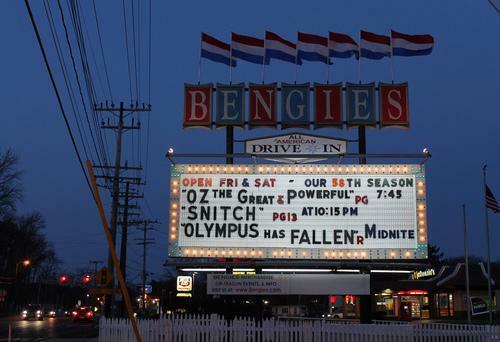 Opening in 1956, Bengies Drive-in features the largest movie screen at 52 feet high and 120 feet wide, 6,240sq-feet. 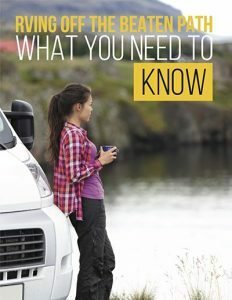 It also provides state-of-the-art digital projection; FM broadcast systems, vintage trailers and intermission clips, as well as in car heaters during its dusk to dawn movie showings. 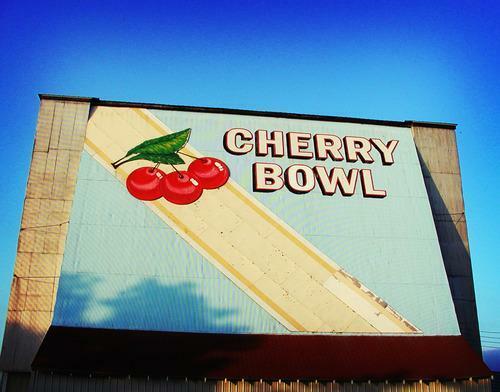 Boasting the largest movie screen in Northern Michigan, the Cherry Bowl Drive-in opened in 1953. Providing a double feature every night it is open, it also projects a vintage film, cartoons, and intermission footage. Opening in 1952 with the movie “Annie Get Your Gun,” the Cumberland has been in business for over 60 years. 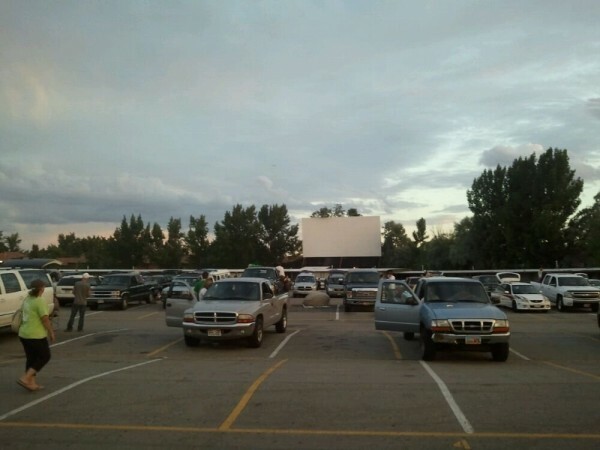 Operated by the same family for its entire existence, the theater faced a challenge that affected many drive-ins in 2013. Film companies were insisting that they make the transition from film to digital. This required a 75,000-dollar investment that many didn’t have. 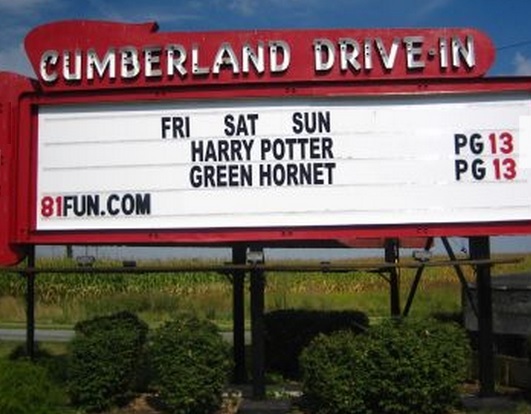 Due to the generous donations of its patrons, Hull’s Drive-in has the privilege of claiming the title of the only non-profit drive-in in the world. The Mission Tiki opened in 1956. In 1975, it expanded from one screen to four. Then, in 2006, it received a major overhaul. The ticket booths and concession building were remodeled to look like Tiki huts. The sound system was expanded to include FM transmitters so guests could listen to the audio from their car’s stereo and the projectors were also upgraded. Established in 1948, the Redwood Drive-in was an instant success. The double features are shown seven days a week except for during the oldest days of winter. The FM transmissions ensure patrons get the best quality audio and the stat-of-the-art digital projector means that they get the most up-to-date movies. Home of the giant potato, the Spud Drive-in was built in 1953. 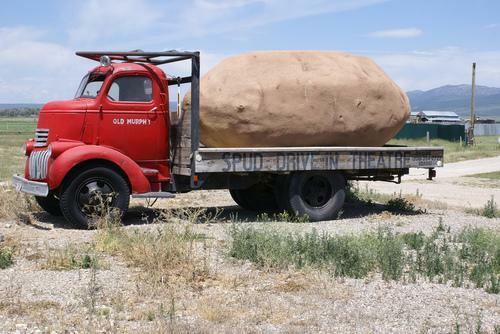 As homage to the potato country in which it was established, the owners decided to use an enormous representation of a spud on the flatbed of a 1940’s model truck as its marquee. 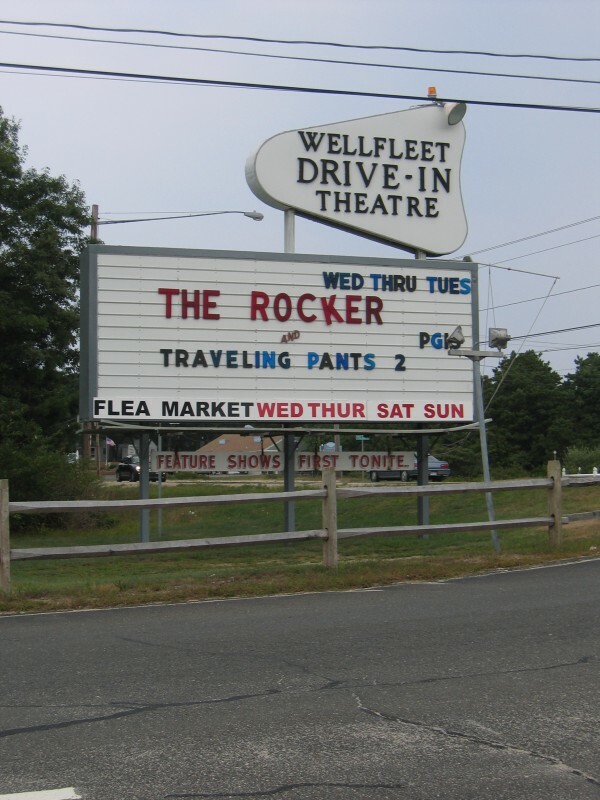 Open seven days a week from late May through mid-September, the Cape Cod drive-in was built in 1957. Also claiming the largest outdoor screens in the world, this theater is open from April to October, Friday through Sunday. 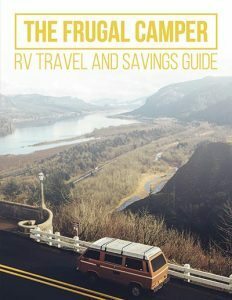 Built in the 1950s, it provides all of the charm of that time period—complete with a grassy area in the back for people to watch movies from their lawn chairs—while showing the most up-to-date movies. 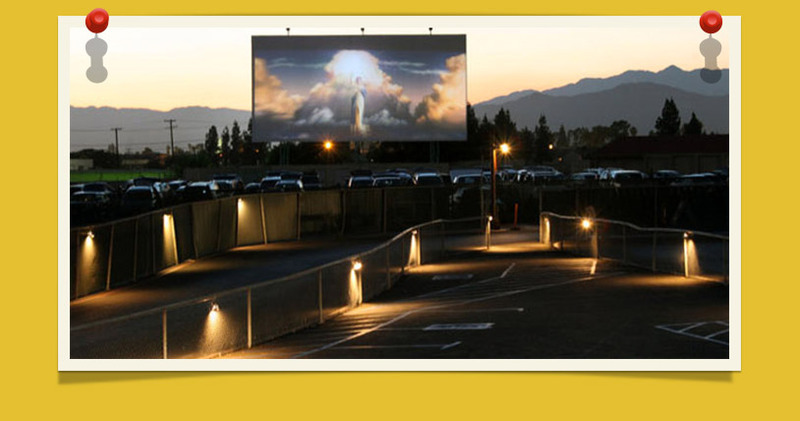 From the rustic and historical to the renovated and cutting-edge, drive-in theaters are as “American” as Fourth of July and apple pie. Reaching the peak of their popularity in the 1950s and 60s, they have lost some of their original appeal—due in part to the air-conditioned multi-plex. For many, however, they continue to be a source of nostalgia and entertainment. Please share with any friends of the drive-in to keep this page of U.S. history alive.